These are the solo shows I've created over the last decade, all of which are available for booking. 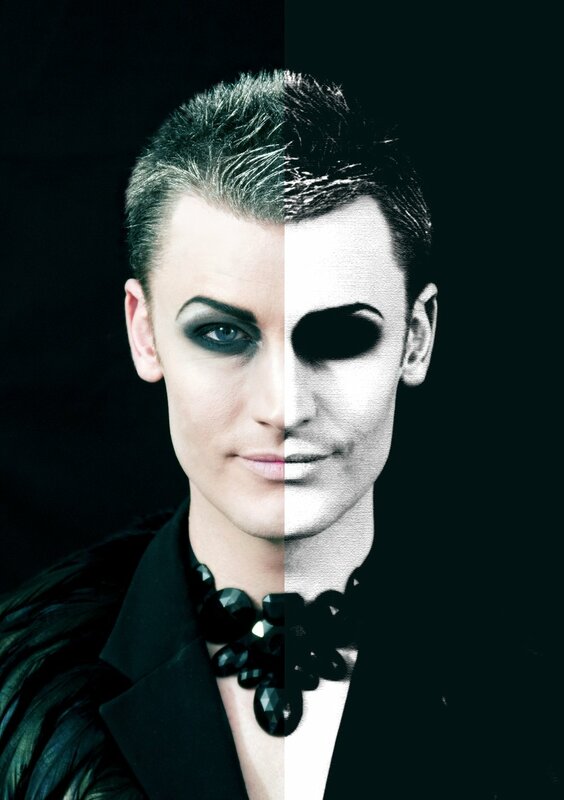 Dusty's new full-length show premiered at the Underbelly Festival Spiegeltent in September 2017. Featuring a clutch of new songs and covers of the likes of Eurythmics, Bowie, Baby Dee and The Cure, it explores how a small boy obsessed with dinosaurs grew up to be a louche cabaret singer in makeup and heels. The show of the album - 13 original songs by Dusty Limits and Michael Roulston ranging from ennui, addiction and mortality to economic inequality and sheer angst, linked by Mr Limits' mordant thoughts on the pursuit of happiness and his customary acerbic political observations. Bleak as that might sound, the show is actually celebratory, embodying Mr Limits' artistic philosophy of 'making light of the darkness'. A dozen original songs written with Michael Roulston and attacking the thorny question of Madness. Have we all lost the plot? Was there ever a plot to begin with? Or is it all some sort of plot? First seen in Edinburgh and then at the Soho Theatre Downstairs, and shortlisted for the Time Out and Soho Theatre Award, Post-Mortem asks the big question: 'If I died tomorrow, what would people say about me? And more importantly, what would I say about myself". A 'musical obituary' combining original songs with works by Sondheim, Mitchell, Bowie and the Magnetic Fields. A show inspired by a Facebook request, gently mocking Dusty's own proclivity for dark themes. 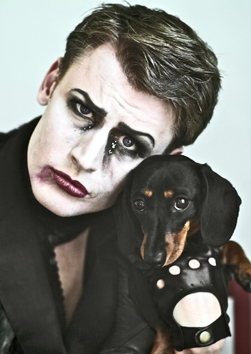 'Black Dogs of Death' combines original songs about everything from falling in love in Berlin to a grotesque family reunion with songs by Sondheim, Bowie and the soundtrack to Shortbus. The first of his 'sit-down misery' shows, in which Dusty analyses his own Melancholy and confronts Death itself. Dusty drags the skeletons from his closet and drinks them under the table in a show inspired by Wilde's classic novel and dedicated to Decadence and Disillusion.